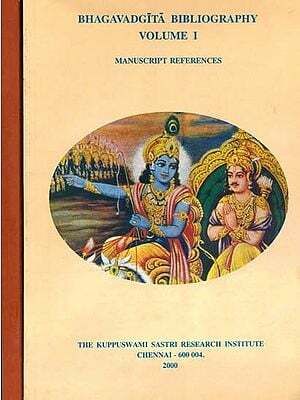 Destined to become a classic, The Promise of immortality is the most complete commentary available on the parallel passages in the Bible and India’s ancient scripture the Bhagavad Gita. This groundbreaking book illuminates the similarities vibrantly brining each to life. Walters sheds light on many of the famous passage form both the texts showing their practical relevance for the modern day and their potential to help us achieve spiritual transformation. •	Why is everyone destined to become “Christ like”? •	Why are good works alone not enough? •	Why is love the most powerful force? •	What is the true meaning of the Golden Rule? •	Are material desires spiritually harmful? •	What is the best way to read the scriptures? •	How do I find a true teacher? Through its answers to such questions, the promise of immortality will renew your faith and recharge your soul. Is clarifies apparent differences in religious teachings to reveal timeless, underlying truth. Walters makes a convincing case for the potential unity of all religious belief and the possibility of an unprecedented era of cooperation among the world’s religions. J. Donald Walters is widely considered one of the foremost living experts on spiritual practice. An American born in Rumania and educated in England and America Walters was raised as an Episcopalian. He studied at Haverford collage and Brown University. Later through his discipleship with the great Indian sate, paramhansa Yogananda, Walters become steeped in the wisdom of India monastic order and took the spiritual name Swami Kriyanada. An American born in Rumania and educated in England and America, Walters was raised as an Episcopalian. He studied at Haverford collage and Brown University Later through his discipleship steeped in the wisdom of India. He was eventually initiated into an Indian Monastic order took the spiritual name Swami Kriyanada. Walters’s books and music have sold over 2.5 million copies worldwide and are translated into 24 languages. He has written more than 70 books and composed over 400 pieces of music. He is also the founder of Ananda, a network of spiritual communities with branches all over the world. One of the most urgent needs in the world today is for the major religions to be common and not of the teachings which their proponents insist male them unique. Much energy has been directed through books and sermons toward demonstrating the superiority of one religious over all others; of Christianity because it holds that Jesus Christ is the world’s Savior; of Islam, because it offers Mohammed to the faithful as the prophet of Allah; of Buddhism because only those who follow the way of the Buddha can win release fro the cycle of death and rebirth. These claims are mutually exclusive and have discouraged many conscientious people form considering religion as even central to the needs of humanity. Indeed so many people scoff at religious nowadays tat civilization is beginning to resemble a ship that on the point of crashing against the rocks (in civilization’s case of global disaster), has lost its rudder. There is however another aspect to religion: not divisive but Unitive. Indeed there are numerous points on which all religions are agreed: the issue for example of what constitutes right action. No religion considers it a virtue to lie or steal or harm others. All religions, moreover preach some variant of the Golden Rule: “Do unto others as you would have the do unto you:” virtue is recommended in other areas besides religion, of course if only as being socially desirable. In none of course areas however is guidance given for developing virtue and in none of them is primary attention given to uplifting Human consciousness. For these reason, religions deserves recognition the very cornerstone of civilization. Without it society would sink into a morass of cynicism selfishness, matter-worship and violence. For from being “the opiate of the people,” as Karl Marx claimed religion gives mankind the ultimate cure for its age-old addiction to “opiates” of all kinds: school drugs money, sense pleasure. How sad it is them religion has become one of the most neglected not to say belittled of human concerns! Such disdain would not exist had religion not undergone virtual mummification by the skilled application of unprovble dogmas, and been enclosed in the coffin of wooden sectarianism. Dogmas are not to blame for this evil for they are simply definitions of gether. Its narrow emphasis stifles intelligence. Sectarianism moreover, which quickly follows alienates people from one another, stifles their symparthies and encourages meanness of spirit with the presumed sanction of scripture. Yet religion has the potential to unite all humanity in the highest ideals. When religion is lived rightly, it expands people’s sympathies and encourages the to embrace all however different their customs and beliefs. Nowadays as the people of different cultures come into increasing contact with one another those the identify truth with principles rather than with limited forms and definitions find it less than edifying to be told that one religions alone is true and all others false Blindly dogmatic statements have caused many to back off from religion altogether and to seek substitutes for religion in the sciences or in politics or in ecology. For human nature needs some ideal towards which it can aspire. the search for perfection on earth proves however in the end, illusory. “Votaries” at those shrines find themselves left at last merely with arid hearts. The chief purpose of religions is the upliftment of human consciousness. the inner transformation manifests spontaneously as virtue for it makes people naturally kind humble and compassionate. Without inner upliftment, however, virtue itself becomes little but a pose practiced at convenience- or else ignored equally at convenience. It is urgently necessary in our time to promote understanding among the world’s religions. Religious leaders need to treat one as colleagues not as rival vendors in an outdoor Market where people hawk their wares while shouting accusation of unfair competition at one another. only by mutual appreciation for each other’s spirituality sincerity can people be inspired to pull themselves out of the morass of irreligion. whether Jesus be the only Savior, or Mohammed or Buddha, one may safely assume that those great teachers will be better pleased with even the so-called “heathen” if he is kind and considerate of others and if he loves truth and God than they will their own followers through shouting dogmatic slogans are cruel and demonstrate a willingness to deceive other in dealing with them. Unity in spiritual matters is for all these reasons urgently needed today. It was in furtherance of this ideal that a historic event occurred near the end of the Nineteenth Century, in the Indian Himalaya. 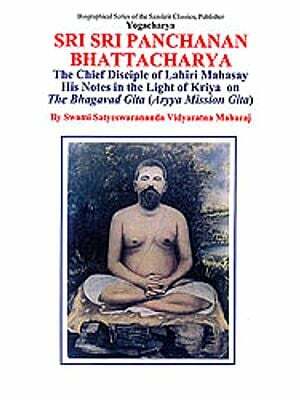 a great spiritual master, Mahavatar Babaji requested a spiritual “grandson” of his named Swami Sri Yukteswar –a disciple of his own foremost disciple –to write a book with aim of explaining certain passages in the Bible and the Bhagavad Gita to demonstrate the essential unanimity of teaching in those scriptures. the purpose of this commission was further people’s understanding of the universality of truth. Swami Sri Yukteswar wrote his book in 1894, calling t Kaivalya Darsanam or in English. holy Science. The truth”(which is the literal translation of its Bengali title). the Holy science in print: it is published by Self-Realization Fellowship in los Angeles, California. the book contains fewer than hundred pages: a small volume considering its extraordinary depth. indeed, much of what it contains is not easy to grasp by the average reader who was to have new ideas spelled out for him so as to bridge the gap between then and his own usual understanding things. it should be added however that The Holy science was not such ha bridge. it did however play a seminal role in the development Babji’s Plan which was to brig East and West together in a spirit of understanding and cooperation. Sri Yukteswar passed on that ideal to his foremost disciple, Paramhansa Yogananda, who is widely know today through his spiritual classic, Autobiography of a Yogi. The training this young disciple received was aimed at the dissemination of ancient insights in Western countries and from the west on throughout the modern world. Yogananda’s mission was not to indianize the west as a number of teachers of from India have tried to do but to uplift is spiritually from India have tried to do, but to uplift it spiritually within the context of its own culture. 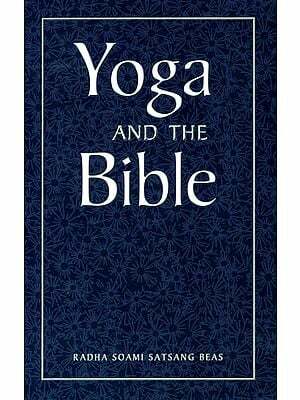 he reminded Jews and Christians alike of their deep roots in ancient meditative practices. Meditation Paramhansa Yogananda explained, exerts a positive influence on every aspect of one’s life. By Inner calmness and concentration one can be successful in anything he attempts. modern men and women adopting he attempts his teachings soon found themselves more deeply aware of God’s guidance in their lives. They bound also that they become better businessmen musicians, carpenters, home makers scientists, Above all, they become happier, more fulfilled human beings. In the higher teachings of yoga they discovered a science that was rooted in Provable truths and not the vague mysticism that so often passes among Westerns for “Eastern Wisdom. Yogananda sought practical ways of instilling the truth of his teachings in society at all levels. To fulfill this aim it would, he realized he necessary for the entire social to be transformed. His vision therefore expanded beyond present horizons to include schools spiritual communities a Yoga institute an annual congress of religions to which he planned to invite “delegates form all lands.” he suggested guidelines for businessmen based on a spirit of service rather than on a desire for personal gain. he created businesses to support his projected communities and saw them also a models to demonstrate the validity of the guidelines he proposed for businesses everywhere. he wrote music; Sponsored concerts proposed architecture as a means of giving outward definition to spiritual concepts. he even expressed creativity in several inventions, to show that creative expression is a valid aspect of the spiritual life and is not inimical to it. One of his early ventures in America was to found a school for children based on the principles he’d already developed in school for boys in Ranchi, India. America however was not ripe for this project and he was obliged to abandon it for the time being. Nevertheless he often spoke of the importance of education to the spread of his ideals. indeed as the child grows so does the adult proclaim himself. First however, as Yogananda confided to me personally, the parents would need be converted to the truths he taught only then would that send their children to his schools. Another of his efforts was the creation of small non-monastic communities where spiritually minded men and women would share harmoniously in the to others of how people can guide their lived by high ideals. this concept harked back to the early communitarian experiments in America. He was successful in founding several monasteries of the more traditional kind. Americans however, were not yet ready to embrace his communitarian project. on countless occasions nevertheless having seen the great strain people endure under the stresses of modern life, Yogananda urged all who so to live dedicated lives together, when the time proved right in simple rustic surroundings. Always his central teaching was spiritual upliftment, for he emphasized that no earthly Eden can ever satisfy the soul’s hunger for divine fulfillment. He therefore emphasized the importance above all of meditation and inner communion. To this end he taught meditation techniques especially those central to the ancient science of Yoga. pondering his reply, I’ve come to realize that a detailed study of the world’ religion would provoke only intellectual interest but would not inspire people spiritual love and intuitive understanding. if may be also that Hinduism and Christianity are the two religious best suited by tradition to the practice of inner communion with God. Yogananda tried at the same time to show that the quest for divine truth is the essence of all religions. In pursuance of this purpose he wrote separate commentaries on the Bhagavad Gita and the Holy Bible. in his Bible commentaries he concentrated primarily on the teachings of Jesus Christ Thought quoting extensively also from the old Testament. He wrote commentaries in addition on the Books of Genesis and Revelation. The reason for treating the Bible and the Bhagavad Gita separately was that the first need was for an in-death explanation of each scripture. Side-By-Side comparisons of the two scripture would have to come later. The presented book is an attempt to address that further need, through far from exhaustively. Originally this book was intended for week by week study over the course of one year. The more deeply I delved into the subject however the more evident it become to me that these scriptures even taking them one passage at a time are so deep that a whole lifetime would not suffice to plumb their depths. Thus my hope is that this relatively little book (long of course however by modern standards) will provide not only food for the intellect but inspiration for the soul. Paramhansa Yogananda told me when I was twenty three, “ your job will be writing and lecturing mission for anything I wrote needed the validation of first hand experience. in 1968 I founded a community, which I named Ananda village in fulfillment of his communitarian ideal. shortly thereafter I also founded a school where the children of community members, and others also might be instructed in the principles developed by Yogananda in India. Later with this experience for a basis I wrote book, Eduction for life, to elaborate on hid educational ideas and on our application of them. This book is one of many endeavors to carry out that Commission. (I’ve written over seventy books so far and composed over 400 works of music). An earlier version of the present tool was written for Sunday morning services at Ananda. the present work represents a considerable expansion of that earlier one. I have done my best in these pages to refrain from offering any opinion of my own. Instead, it has been my aim to present in path the teachings I received form my Guru-through his written works his public lectures his informal talk a few of us disciples and his lengthy discussions with me personally. This book does, however contain insights of my own-not, be ot noted my opinions gained over a lifetime as his disciple. for it is duty of the disciple to do more than repeat his guru’s words. Yogananda himself said that disciples cannot but filter their guru’s teachings according to their own spiritual understanding. Everything in this book is consistent moreover with Paramhansa Yogananda’s actual worlds and writings. it therefore repeat, not really my book. my own contribution has been to marshal thoughout that he expressed from time to time on these subject and to bring selected passages from the two scriptures together in such a way as to show that they parallel one another. my goal has been in my own small way to continue the commission originally given by Babaji to Swami Sri Yukteswar which Sri Yukteswar then passed on to Paramhansa Yogananda and which it will be others’ responsibility in future generation to continue sharing with the word. I have not limited myself to my guru’s specific writings on these subjects (the reader may go to his books for that) have drawn from and assembled countless memories of things he said wrote elsewhere and did that might give a fuller dimension to his published writings. Such indeed is the duty of the sincere disciple: to present his guru’s teachings in such a way as to show them as much as possible in all their subtlety and variety. Thus may reach an ever-wider and more enlightened audience.